The Bregana River, with its dense hydrographic network, is comprises approximately 92 km2 of the river basin and its main stream is 26.02 km long. In its middle part to the outflow into the Sava, the Bregana is a watercourse between Croatia and Slovenia. 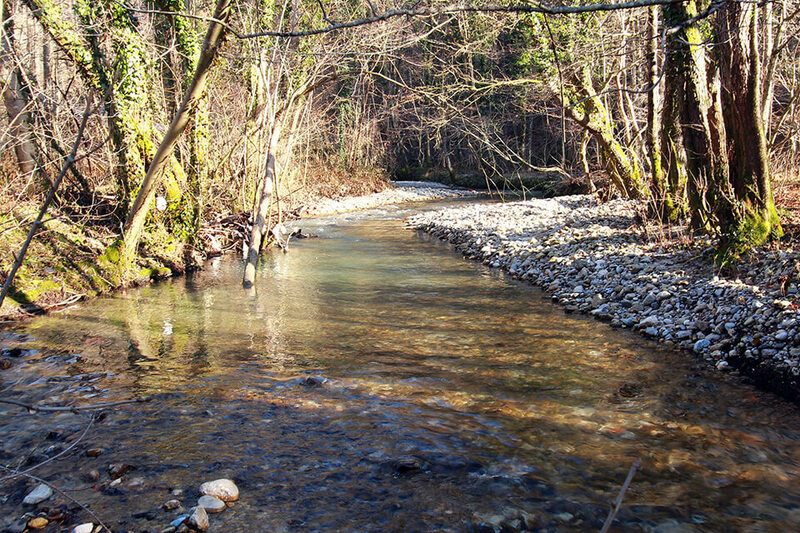 The main tributaries of the Bregana in Croatia are the Tisovačka Bregana, Rakovac, Dobri potok, Jarak, Velika Draga, Škrbotnik and Breganica, while in Slovenia there are some smaller streams, Sevškov jarek and Kamenjak. Hydrographically, the Bregana basin is part of the Sava basin, and is largely covered with forest; it is characterised by steep slopes, which result in a large base percentage, which is reflected in the mean flow of 1.36 m3/s and considerable erosion processes. Settlements and agricultural land cover a small area of the basin. The high-water events in 2005, 2014 and 2015 show the distinctive torrential character of the Bregana, with specific flood sites. The bursting of the Bregana resulted in the flooding of houses, posing a risk to reinforced embankments and the removal of material. During the flooding of the watercourse, concrete cascades, bridges and culverts were destroyed, asphalt and macadam roads were damaged and the deposited material reduced the flow of the main stream in some locations. In May 2015, the outflow of the Bregana into the Sava was significantly damaged during heavy rainfall; the stream and the riverbed moved, which further threatened the entire embankment along the Sava, which is located nearby. These damage events are mainly the consequence of only partial (incomplete) watercourse regulation, which is not capable of transporting even 10-year waters along most of its course. Moreover, in some sections of the watercourse, various profiles are jammed, which, of course, causes additional problems in terms of flooding in the narrow valley. Plans for the regulating the Bregana river were made in the past; these included 7 retention areas into which water could overspill during high waters, thus flattening the tip of the flood wave and protecting settlements located downstream. These plans have never actually been implemented. The watercourse regulation was implemented over a 2 km section of the watercourse upstream from the Bregana-Obrežje bridge. In the 1980s, the regulation of the section between the Bregana-Obrežje bridge and the Zagreb-Ljubljana motorway and downstream was completed. Approximately 30 years ago, the Bregana River was only partially regulated; since then, erosion processes have intensified throughout its entire river basin and more intensive construction has resulted in additional pressure on the increased likelihood of flooding. 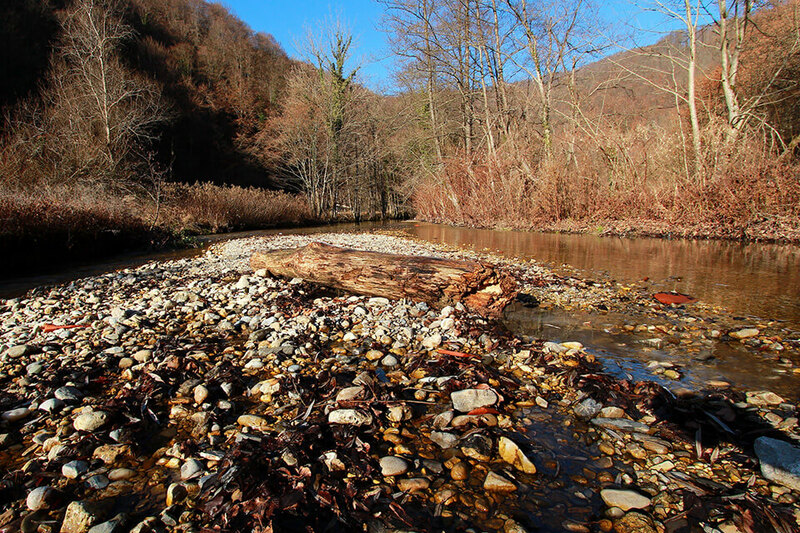 From the aspect of nature conservation, the Bregana is protected on the Croatian side and is also important for the conservation of several species of fish, which also significantly influences water management processes. In 1952, the gauging station at Bregana Remont was established opposite the Remont institution. In the 1970-2004 period, the maximum value of the highest recorded flow was 30.6 m3/s – in comparison, the high water in 2005 was estimated at 72.8 m3/s, which is more than twice the value of the previously highest recorded flow. A similar situation occurred in 2014, 2015 and 2016, with the highest flow rate of 84.11 m3/s being measured on 13th September 13 2014, which definitely reflects certain changes in the river basin and requires additional investments in the flood protection of the population, infrastructure and other flood risk entities.